Successful employees are motivated by competition. It's a great way to motivate them and infuse them with energy. Our Mini-Olympiads create a series of fun competitions for participants to work their way through in order to win! And this is all done in an environment of providing a shared experience that bring participants together! 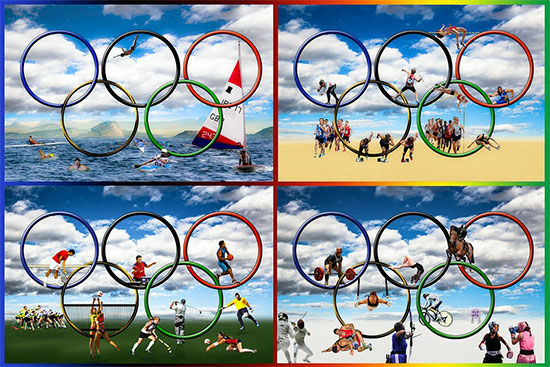 The basics of a Mini-Olympiad is to combine activities into a larger whole. 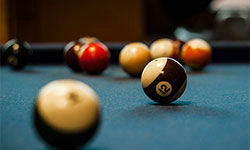 These are usually activities similar to those in the TV show Minute-To-Win-It. We have a variety of stations with one activity each. We have one team at each activity at a time and they rotate at specific times. This gets everyone to participate in each action and we can then compare results at the end to determine a winner. 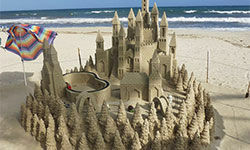 For those near a beach environment, we can provide a Mini-Olympiad with beach-themed activities. These can include frisbee relays, sand castle building, beach volleyball and the like. 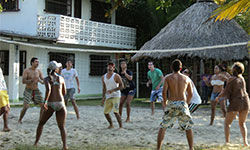 The idea is to have people enjoy the sun and the sand while still gaining a sense of teamwork though the playing of games. For those in winter climates, we can provide a Mini-Olympiad with snow themed activities. This can include snowman building, castles, snowball accuracy, sledding, etc. 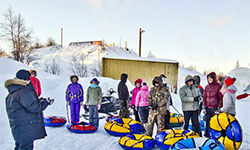 Allow us to help your people enjoy the great white north in ways never imagined. We can incorporate just about any kind of activity you can think of in a Mini-Olympiad. From pool and darts to skydiving and cliff diving, there's practically nothing that we can't find a way to make part of a larger competition. Simply contact us to find out how. Group competitions are great ways to engage the competitive spirit of participants while maintaining the sense of being a part of a larger organization. At the end of these events we want the employees to have bonded with one another, gotten the sense that others support them in their efforts and feel confident in trusting others with helping them to be at their best. A Mini-Olympiad is a great way to mix things up. You can take employees from different groups and get them on the same team. 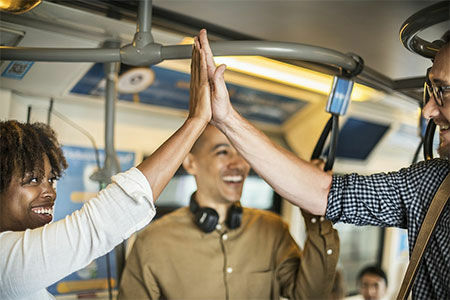 This can help fight silo mentality and give everyone new and shared experiences with people they don't normally get a chance to interact with creating new lines of communication and support. Destination Team Building programs with THEY improv keep in mind your needs no matter the circumstances. We will talk to you, discuss the desired results and the venue circumstances and come up with options and programs to fit your budget. These can be done anywhere in the world. Certainly hotel ballrooms are easy for us, but we can also take people outside and enjoy a beach, a snow covered field, a park, a lake, a subway system, or just about anywhere else you can think of. Simply contact us about your circumstances and we'll come up with a program designed with your group in mind. "I just wanted to send a note of sincere thanks to you. We did an evaluation and everyone had a great time. The owner or the company was very happy. Everyone thought both you and Mike were great. This is the first time we have ever done something like this as a company and he saw value in it."